Host Black Coffee calls on friend and fellow business magnate to wave goodbye to 2018. Hï Ibiza has confirmed that its glittering closing party will be a joint-bash with Black Coffee. The final installment of the 20-date Saturday night residency coincides with the venue's last event of 2018 on 6 October. A double celebration, then, and one that heaps further reward at the feet of Black Coffee. Hï's Saturday night incumbent has enjoyed another record-setting year. For his second season, he has continued to endear himself to Ibiza's clubbing community, fast cementing a growing legacy. Joining the South African house music ambassador will be fellow luminary Virgil Abloh. The global entrepreneur is best-known as being the owner of fashion house OFF-WHITE and holding the prestigious position of artistic director at Louis Vuitton. Less publicised is his career as a DJ. Virgil has already made his mark felt in Ibiza this summer, with several appearances for Circoloco at DC10, as well as supporting David Guetta at Pacha. 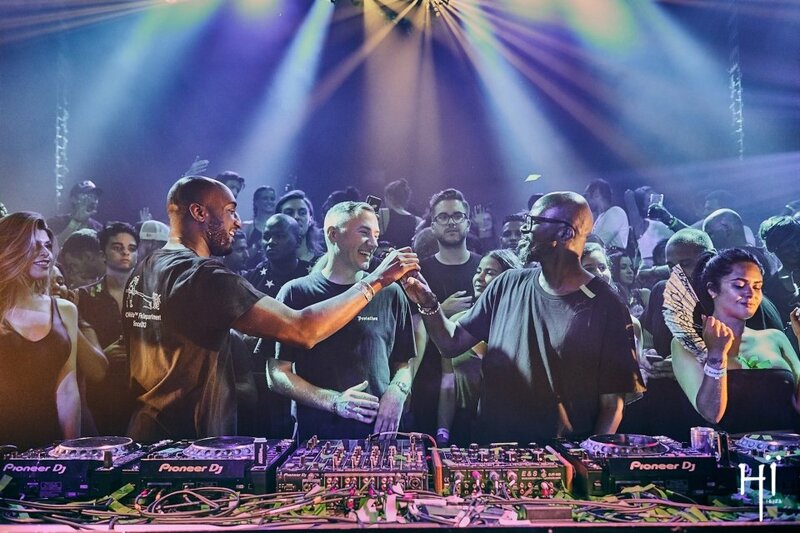 Having played for good friend Black Coffee in August, Abloh returns to Hï for the closing. News of further guests is still under wraps at present. Although we could speculate at who might be joining Black Coffee and Virgil Abloh, we will only say that we are certain that Hï will continue to pull out all of the stops. Who can forget the Black Coffee-hosted Hï Opening Party back in May? Much like the opening, the closing falls on the same day as ANTS' own farewell show. A double-up is more than possible. If that is anything to go by, the island is in for a treat of royal proportions. All existing tickets continue to be valid, but for those still debating attending, we promise you this is a party not to swerve. Stay tuned for more announcements. Wave goodbye to Hï and grab those tickets below.